Workers’ Compensation is a type of no-fault workplace injury insurance that was created to provide employees suffering from work-related injuries or illnesses a means to receive medical care and other benefits. Ed Murphy and Ben Creedy have over 45 years of combined experience in handling workers’ compensation cases. They have helped clients with brain injuries, spinal cord injuries, chronic pain conditions, psychological injuries, fractures, repetitive use injuries, respiratory diseases, neurological diseases, and many other injuries and diseases recover the compensation they deserve. Ed and Ben take great pride in going above and beyond for their clients. While many other lawyers are out for the quick settlement, Ed and Ben are turning over all the stones to make sure their clients receive full and fair compensation. They are not afraid of the complex or hard cases so many attorneys run from. Ed and Ben will go to trial if the employer and its insurance company refuse to offer a full and fair settlement. Our motto is “Don’t settle for less.” Let us put our experience to work for you. An experienced Workers’ Compensation attorney can help in many ways. First, insurance companies want to save money and having a lawyer on your side can make them pay every benefit the law makes available. Insurance companies try to save money by sending you to doctors they know will say things like “you were not hurt” or “you were hurt, but you are all better now” or “you were not hurt that bad.” The insurance companies use those opinions to deny injured workers necessary medical care and disability payments. An experienced Workers’ Compensation attorney can expose those opinions as weak, inconsistent with reality and unfounded. An attorney can also get you to doctors who will fairly and honestly evaluate your medical needs, condition and long-term outlook. Second, an experienced Workers’ Compensation attorney knows what is persuasive to judges who decide these cases. 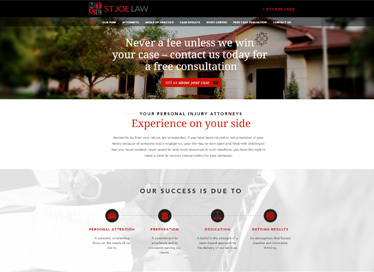 The law is complicated and fitting your unique situation into the benefits allowed by the law is something that benefits greatly from an attorney’s knowledge and experience. We routinely evaluate our workers’ compensation cases to see if there is another party liable for our client’s injuries. The law permits injured workers to sue third parties that contributed to the worker’s injuries. Some examples of third parties that may be liable are machine and equipment manufacturers, engineers, architects, consultants and even in limited cases, supervisors and co-workers. The reason our firm evaluates cases to see if another party is liable is because the Workers’ Compensation Law does not permit injured workers to recover compensation for their pain and suffering, their loss of quality of life and many other harms and losses. We want to do our best to see that our clients who are injured at work receive full and fair compensation allowed by the law. Workers’ Compensation will pay for all medical care related to your work injury or occupational illness, including doctor and hospital expenses, lab work costs, physical therapy, occupational therapy, medical equipment, prescriptions and some travel expenses, so long as the expenses are reasonable and necessary. Insurance companies often dispute what is reasonable and necessary and that is another area where an experienced Workers’ Compensation attorney can be a big asset to your case. If you cannot work because of your injury, you are entitled to disability benefits for the time you cannot work. That time span can be temporary, in which case you are entitled to temporary total disability benefits. It can be permanent, in which case you are entitled to permanent total disability benefits for the remainder of your life. Or, you can have a permanent partial disability, which means your disability is not bad enough to prevent you from working, but the law nevertheless requires your employer to provide compensation for the percentage of disability you have suffered. The surviving dependents—the spouse and minor children—of an employee killed on the job are entitled to receive a death benefit based on the deceased person’s wages at the time of death. Funeral expenses are also covered. We handle Workers’ Compensation cases on a contingency fee basis. That means we are only paid a fee if we recover money for you. Our contingency fee for Workers’ Compensation cases is 25 percent of any recovery we help you obtain. We advance case expenses on your behalf. Such expenses include things like the costs of medical experts, depositions and medical records. Those expenses are reimbursed to us only if we recover money for you. In Missouri, to ensure that you receive the benefits you’re entitled to, contact the St. Joseph, Mo., Workers’ Compensation attorneys at Murphy, Taylor, Siemens & Elliott, P.C. Our partners have 100 years of combined legal experience and a successful track record for obtaining full and fair compensation for clients through aggressive advocacy in Workers’ Compensation cases and related third-party claims. We offer a free consultation and handle Workers’ Compensation cases on a contingency fee basis, which means you don’t pay us unless we recover money for you.